. @hakanc10 met his doppelgänger at one of our training sessions! We're moments away from kickoff! Who's ready?! 2' @SCInternacional corner ends in an early goal. 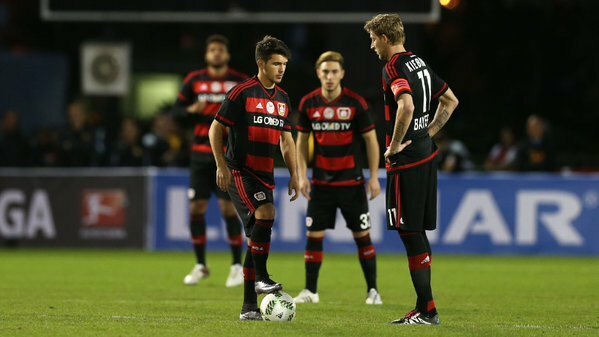 #Bayer04 down 1:0. 4' @hakanc10 attempts to answer the early goal from @SCInternacional - shot goes wide. 7' @SCInternacional awarded PK. 2:0. This is not the start we wanted. 8' @SCInternacional has started the game strong and with high energy. The #Werkself is having difficulty adapting. 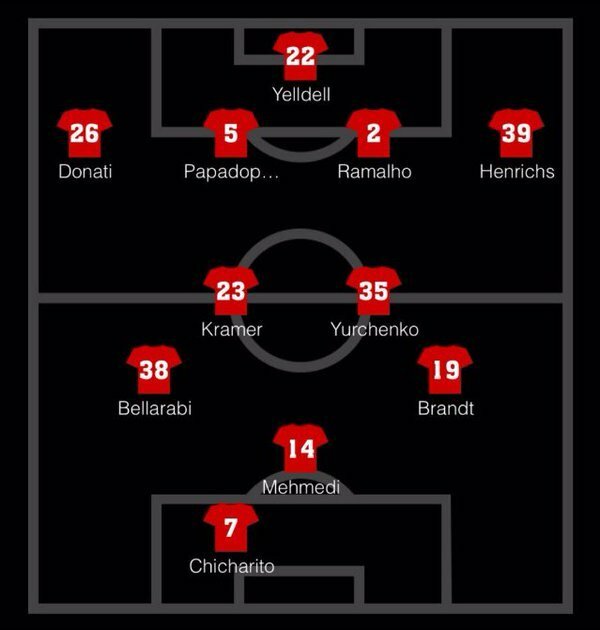 12' Very few touches from the #Bayer04 offense so far this match. Looking for a change in momentum. 16' #Bayer04 earns their first corner of the match. 20' #Bayer04 have calmed down and are starting to improve their possessions. Still looking for a solid chance on goal. 28' CHANCE! @KimoBellarabi hits the crossbar. 37' Less than 10 remain in the first half. #Bayer04 needs a goal. Otherwise, we'll have a lot of work to do in the second half. 40' And #Bayer04 awarded PK! @CH14_ knocks it in. 2:1! That's two goals for #Chicharito ! #Chicharito has now scored 21 goals in 24 matches! 50' CHANCE! #Chicharito hits the crossbar! 67' CHANCE! @KimoBellarabi almost knocks one in. Great save from the @SCInternacional keeper. 73' Substitution - Chicharito comes out, Boeder comes in. He leaves the pitch with 2 goals. 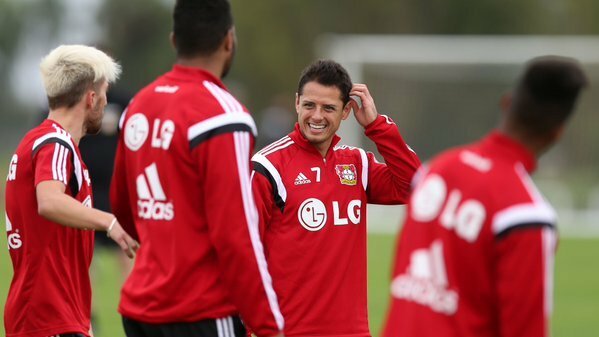 Well done,@CH14_ ! 79' Own goal from @SCInternacional ! Score is now 3:3! 79' Own goal from @SCInternacional - score is now 3:3! 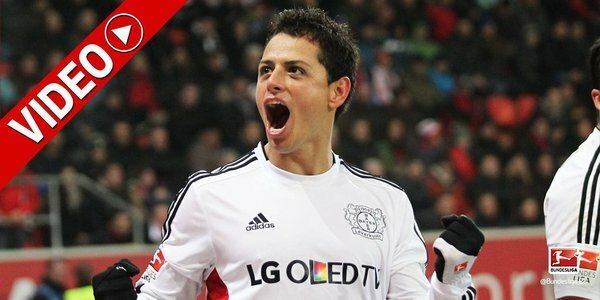 #Chicharito shoots, scores, celebrates with #Kießling !